With its gloss black finish, gold hardware and black-white-black pickguard, the Midnight Telecaster may look formal, but it’s ready to break out the unruly Tele twang at a moment’s notice. 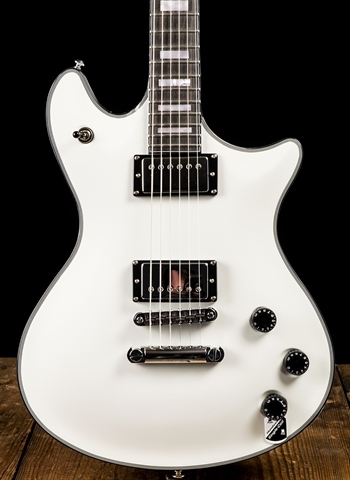 Features include matching Black headstock, vintage-style pickups, 7.25”-radius fingerboard and white binding on the top and back. Get all swanky with this uptown Tele.